A proposal by Swaziland to legalise limited trade in rhino horn has not won wide support ahead of the major international meeting on wildlife trade in Sandton, South Africa, at the end of September. Supporters of the controversial proposal agree that the motion is unlikely to pass at the COP17 conference convened by the Convention on International Trade in Endangered Species (CITES), which regulates the legal international trade in wildlife. The secretariat of the conference has already recommended that the bid be rejected. But the advocates of legal trade still feel that putting a bid on the table for discussion at the conference is likely to open a lively debate on the subject for a future decision. The supporters believe that legal trade would counter the black-market trade in rhino horn. At the moment around 1,200 rhinos are killed in South Africa every year by poachers, and conservation agencies have an uphill battle to protect the rhinos, spending millions of rands every year in acquiring the best security for the animals. Private rhino owners who favour opening the trade recently organised a media trip to discuss the issue. 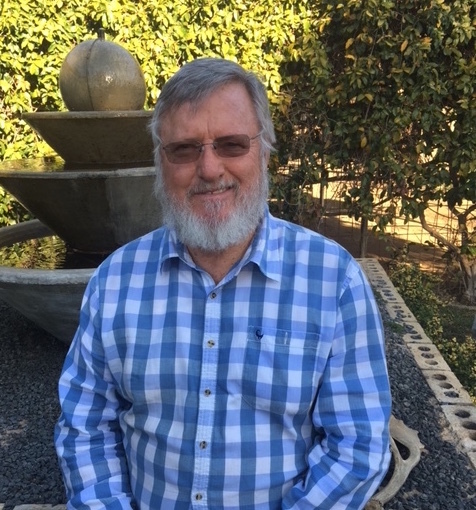 Pelham Jones, chairperson of the Private Rhino Owners Association, said he believed the CITES agenda had been hijacked by activists who strongly oppose a trade in horns. 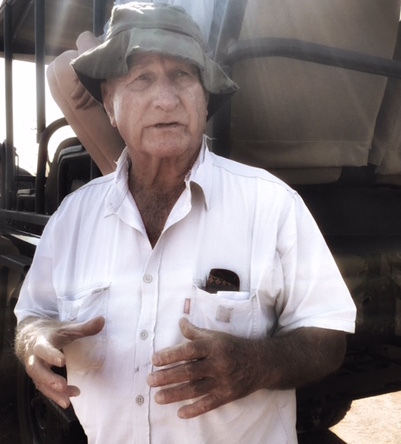 Jones has more than 35 years’ conservation experience and is a private reserve and rhino owner himself. When the first rhinos were poached on private reserves in late 2008, he established the association to lobby for and coordinate assistance to private reserves faced with poaching pressures. “We are doing our damnest to save lives, but we are vociferously attacked by animal rights activists at every step,” he said. Global groups such as the International Fund for Animal Welfare and the Born Free Foundation have warned that any nation supporting a rhino horn trade would face political isolation at the COP17 conference. The world’s biggest rhino farmer, John Hume, also lashed out against CITES, declaring that it had been hijacked by animal activists who are living in “lala land”. Hume said it would be a miracle if rhino trade was legalised at COP17. 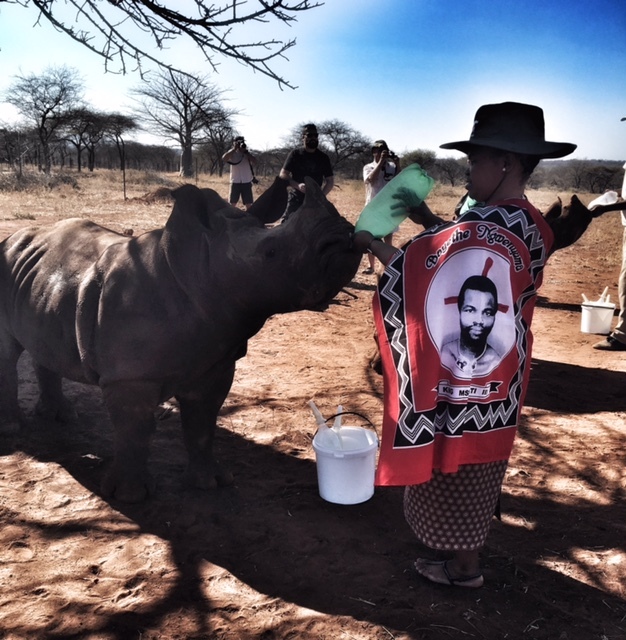 Hume has close to 1,500 rhinos living on his wildlife ranch in North West province. A legalised trade would see him turn a handsome profit from his estimated five tonnes of stockpiled horn, a fact his critics are quick to point out. Two-thirds of the 182 countries represented at CITES would have to vote in favour of abolishing the ban on trade for the Swaziland motion to pass. The ban has been in existence since 1977. South Africa is home to 36% (totalling 1,893) of the world’s black rhinos and 90% (18,413) of the world’s white rhinos, giving any motion it supports on rhino horn trade gravitas. While the country’s national parks are reluctant to express a view on trade, KwaZulu-Natal’s conservation authority, Ezemvelo KZN Wildlife, is openly propagating trade. The South African government appointed a committee at the end of last year to study the idea of trading horn internationally, and it delivered a report to the cabinet in March. The country decided not to submit a bid for legal trade in April, shortly before the CITES deadline, though it was widely expected that the cabinet would support this. The government has not ruled out submitting a future bid to open trade. Jones called the decision a “cowardly act. South Africa would have been able to handle a trade proposal,” he said. Just days after South Africa’s announcement, Swaziland submitted a last-minute proposal that would allow for an experimental “pilot project” to sell off the tiny kingdom’s stockpiled horns. In its CITES proposal, Swaziland asks for permission to sell nearly 330 kilograms of rhino horn from its existing stockpiles to an un-named number of “licensed retailers” in “the Far East” for US$9,9-million. “At present 100% of the proceeds from the sale of rhino horn are taken by criminals, while rhino custodians pay 100% of the costs of rhino protection and production yet they desperately need funds to cover these costs,” says the proposal. A major criticism of the Swazi proposal is that it does not identify buyer countries, a prerequisite of CITES rules. Swaziland asks to sell another 20 kilograms of horn a year. The country has less than 100 white rhinos located in two parks, Hlane Royal National Park and Mkhaya Game Reserve. Ted Reilly, the 78-year-old head of Swaziland’s Big Game Parks, is the main author of the Swazi proposal. He said Swaziland submitted the proposal not only to counter the black-market trade, but also to raise money to ramp up security for the besieged rhinos. He said Swaziland had to scrape together a motion at the eleventh hour, because its government felt so passionately that this was the only way forward to protect rhinos. “I know many wildlife lovers strongly oppose or feel deeply uncomfortable about reopening the legal trade in rhino horns, but I believe this is the only way to halt the slaughter,” he explained. Swaziland will face stiff opposition at COP17 from other African nations such as Kenya and Uganda, who are vocal about their distaste for any wildlife trade. Kenya regularly burns its rhino and ivory stockpiles as a symbol of its disapproval. Reilly said Kenya’s plummeting wildlife put forward the case for a legal trade. He said the country’s “preservationist approach” has been a failure, whereas countries such as South Africa that allow hunting and other forms of consumptive wildlife use had seen great conservation success stories. South Africa has been opaque on whether it will support the Swazi proposal at COP17. John Scanlon, secretary general of CITES, told The Guardian that the Swaziland proposal had shown that the consensus for several years on banning international trade in horn and ivory was beginning to tear apart, and that “completely opposite viewpoints” would be aired at COP17. Trade advocates in South Africa are hoping that the Constitutional Court (ConCourt) will make a final ruling on the trade ban before COP17, forcing the Department of Environmental Affairs to lift the current moratorium on the domestic trade in rhino horn in South Africa. The moratorium on domestic trade has been place since 2009, introduced mainly in an effort to curb pseudo hunts that were being used to launder horns as hunting trophies. Hume, along with 330 other private rhino owners, own more than 30% of all the rhinos in South Africa. Hume and safari operator Johan Kruger have been driving the court action to get the moratorium lifted, with the support of the Private Rhino Owners Association. 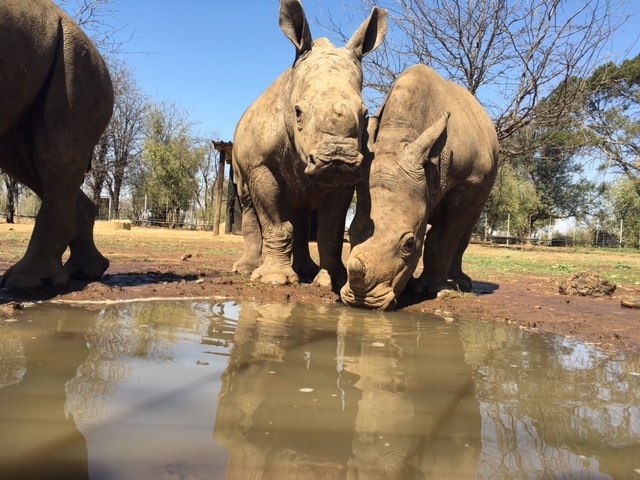 Last year two judges in the High Court ordered that the moratorium was illegal because Hume and other rhino owners were not properly consulted. The department appealed, but the rhino owners triumphed again in the Supreme Court of Appeal, whereafter the department appealed to the ConCourt. The moratorium remains in place until the ConCourt makes a final ruling. Hume said he believed the ConCourt would rule in his favour. This would allow him to start selling his rhino horns domestically. Environment Minister Edna Molewa argued in court papers that lifting the moratorium would unleash a political backlash from CITES, and could sink any potential future bid from South Africa to present a thorough trade proposal that could succeed. She also feared that illegal horns would be laundered into the legal stockpiles.